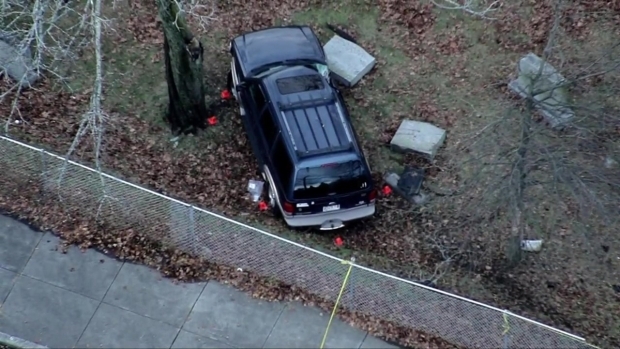 An SUV crashed into a cemetery in Mattapan on Tuesday afternoon, causing significant damage to the car and a number of traffic headaches. One person was killed when a vehicle crashed into a cemetery in Boston's Mattapan neighborhood on Tuesday afternoon. The accident was reported shortly after 1 p.m. in the area of Walk Hill and Harvard streets. The victim, an adult male, was transported to a local hospital where he later died. 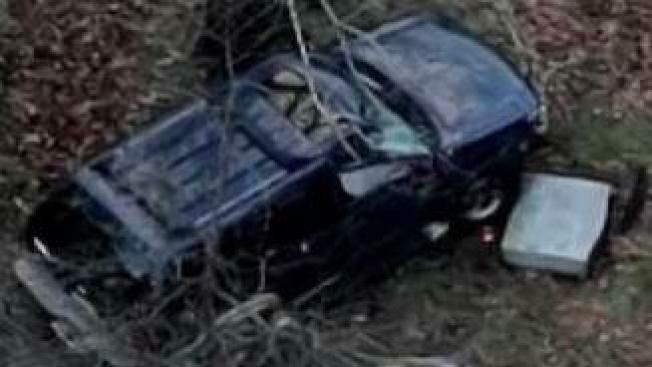 Aerial footage from NBC10 Boston's Sky Ranger helicopter showed an SUV that appeared to have left the road and gone through a chain link fence, coming to rest alongside a tree after knocking over at least two grave stones in a local cemetery. Boston police said one person was injured and taken to a local hospital after crashing into a cemetery in Boston's Mattapan neighborhood. The road was blocked off for a time, but reopened around 4 p.m. once the vehicle had been towed from the scene.